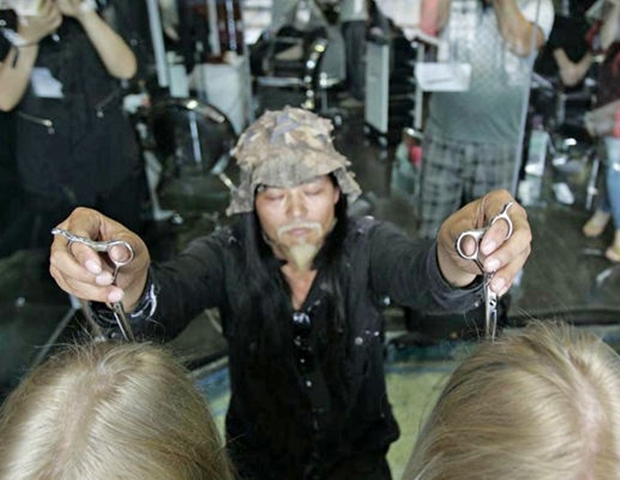 Chinese hairdresser, Tian Hao, makes it to the news headlines for his unique hair cutting method. He cuts hair while his eyes are closed. Tian claims that he makes use of zen meditation to feel the aura of his clients, enabling him to cut their hair with out hurting them.